I have just accepted the reality that my car will not be clean this week. I washed it in Idaho on my drive from Jackson just to get the salt mounds off the bottom of the car. But then it’s been snowing a bunch here this week in Montana. 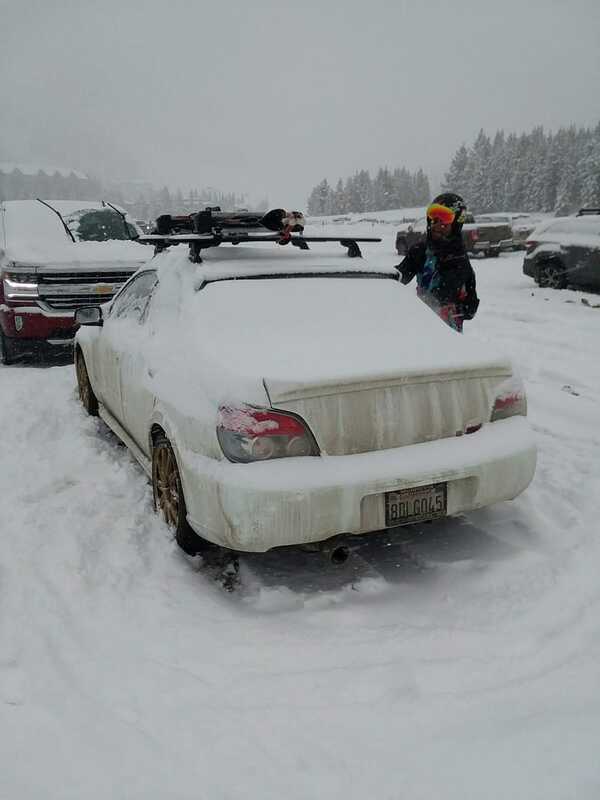 This is great for the skiing but unfortunate for the car. It’s been much warmer here though. Saw temps in the 30s and even 40 the night we got here. Considering -10F had been the usual in the morning in Wyoming, this is nice and balmy and the car is much less angry about starting with oil made out of molasses. One plus about being here though is that premium gas is sold without corn here! I have observed about a 2mpg improvement since using this gas. While this station was kind of expensive for the area (still like 40 cents less than home), I was super empty so I just had to fill there. I was just excited to see CONTAINS NO ETHANOL. One more day of skiing here tomorrow at Big Sky before beginning the journey home! Looking forward to hitting a car wash as soon as I get to Salt Lake again and then a nice deep cleaning when I get home.